For a show called “Artistic Beginnings”, we were challenged to create an art piece that was inspired by artwork that we had created earlier in our life. 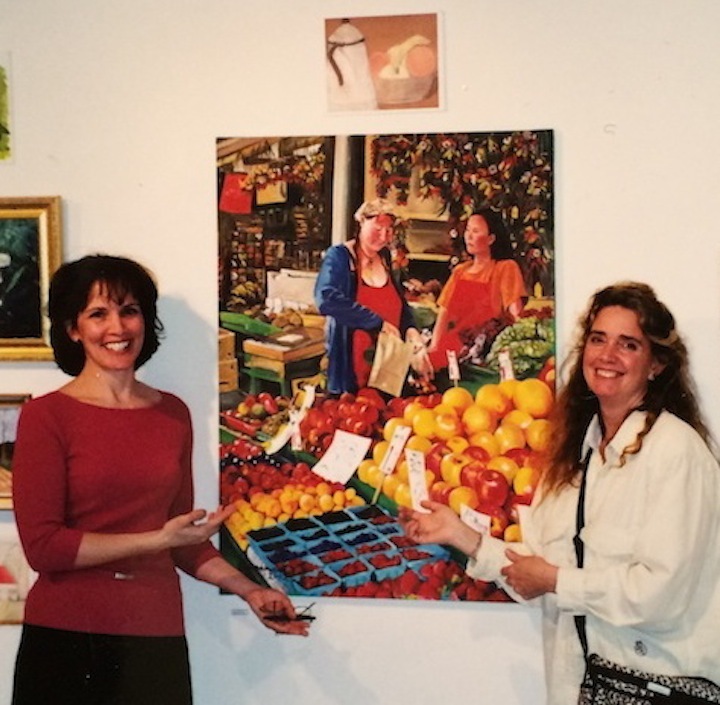 I choose a bowl of fruit that I had created in oil pastels when I was around 13 or 14 years old as my inspiration. 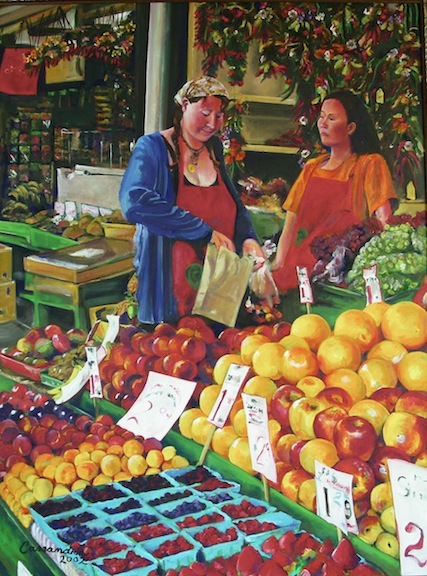 The new work took the idea of a grouping of fruit to a different level by making a large oil painting of a mounds of fruit in a market stall in Seattle’s famous Fish Market.